Habitat management research for wildlife in south Texas covers a broad spectrum from brush control to restoration. Scientists examine the thresholds for manipulating vegetation to improve forage and cover for wildlife. 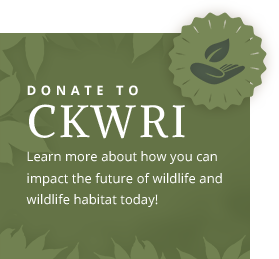 We also work with other CKWRI programs such as South Texas Natives and Texas Native Seeds on developing applied strategies for reclamation and restoration projects in south Texas. Prescribed burning is one method of maintaining high quality rangeland that is beneficial to wildlife. Research is conducted to determine the conditions in which this useful management tool is most effective for maintaining and enhancing wildlife habitats. Other research evaluates wildlife food plots that many ranchers and managers are using to increase food resources on their land. Researchers study livestock grazing, brush encroachment and management, re-vegetation of disturbed sites, and reclamation of south Texas habitats to benefit wildlife and livestock. The Center for Semi-Arid Land Ecology, directed by Dr. Timothy Fulbright, specializes in ecological research. Many of the plants, wildlife, and natural communities in semi-arid regions of the world, including south Texas, are being lost to human impacts, overgrazing, and the invasion of exotic plants. This Center focuses on research that will minimize the effects of these trends which will continue as human populations expand and place growing pressures on natural resources in semi-arid land regions.